Have you ever suffered from toenail fungus? Are you embarrassed to go to the nail salon or go to the beach with friends or family because of the appearance of your nails? Have you tried medications, only to be frustrated when nothing works? If so, laser therapy could be your answer. Onychomycosis, most commonly known as a chronic toenail fungal infection, can be very difficult to treat as it grows extremely slowly. The fungal organism that is the source of the problem can only be killed during its growth phase. That is why it can be very frustrating for many dermatologists and podiatrists to treat toenail fungus. Fungal infections can go unnoticed for long periods of time because there may be no initial discoloration or pain. The infection is a mold that typically occurs when the toenail is exposed to a dark, warm moist environment. A fungal nail infection that is persistent or becomes painful should be treated. Otherwise, it can cause problems and potentially impact the function of the entire foot. The fungus breeds underneath the growing portion of the nail and can occasionally penetrate through the surface of the nail. Studies have shown health-related quality-of-life issues associated with onychomycosis and it is clear that patient treatment is both necessary and desirable. A fungal infection is diagnosed by its appearance - a thickening and discoloration of the nail plate as well as a possible foul odor. As the nail thickens, it may lift from the nail bed (onycholysis). Other symptoms include brittleness, chronic in-grown toenails and debris under the nails. In some forms of fungal nail infections, a black or white, powdery discoloration may appear on the surface of the nail plate. Toenail fungus can become debilitating, interfering with both walking and with shoe pressure. If the infected toenail is left untreated, further complications may occur. In some cases, the nail can break away from the underlying skin (the nail bed), allowing the fungus to spread to other parts of the foot. Although the degree to which the infection spreads varies from person to person, it is best to identify and treat the problem as quickly as possible. Many treatment methods have been used over the years. First isolated in 1939, griseofulvin was commonly used in the 1960s and 1970s as a first-line treatment for fungal infections. However, due to a significant liver toxicity, it quickly fell out of favor. In the 1980s, topical antifungal medications were frequently used, though these had limited success (less than 10%). In the mid-1990s, oral medications such as terbinafine and itraconazole were used. These newer agents had the advantage (over griseofulvin) of reduced toxicity and a shorter duration of therapy. However, results were moderate (approximately 55-65% improvement) and liver toxicity was still an issue. Similar to griseofulvin, terbinafine and itraconazole are still in use today, despite the risk of liver problems. Today, there is a new treatment that has been extremely beneficial in the fight against fungus - The PinPointe™ FootLaser™. This breakthrough technology was introduced nearly 2 years ago and has shown significant success in the treatment of chronic fungal infections. PinPointe,the company that developed this light-based procedure, claims an 88% success rate. The laser, which is now FDA-cleared for the treatment of nail fungus, is a specially designed, patented device that shines through the toenail and vaporizes the pathogens embedded in the nail bed and nail plate. Upon first hearing of this technology at the 2008 American Podiatric Medical Association Annual Conference, I was immediately interested, especially because there were no other effective treatments available at the time. I was, to say the least, a little skeptical of its efficacy as none of the other treatment modalities have worked well thus far. A close colleague of mine first began using the laser in September 2008. He advised me that the procedure worked well. I asked to see the results after 3-4 months, as it takes several months for the nail to completely grow out. In December 2008, he informed me that the procedure was very successful in treating some of the worst cases of fungal nail infections he had ever seen. In early 2009, we brought the laser to the Long Island area as well as to our Connecticut offices and have performed the procedure on over 875 patients. We have seen a significant number of happy and very satisfied patients; patients that have been frustrated throughout the years. They found this modality the only effective means in the treatment of their debilitating and cosmetically unappealing condition. This PinPointe™ FootLaser™ is safe, pain-free and is performed in one treatment with no need for drugs or anesthesia. This state-of-the-art, premiere treatment therapy, uses a laser that passes directly through the nail to target the precise infection site. As the laser passes through the nail, it identifies and destroys the pathogens that cause the fungus. The laser does not harm the nail or surrounding skin in any way. Following this procedure, the toenail will eventually grow back new; clear, healthy and free of any fungus. The entire procedure takes approximately 30-45 minutes and is performed in the comfort of our office. Approximately 85% of my patients that I have performed the procedure on have been extremely satisfied after one treatment. Only a small percentage of the patients have needed a second treatment in an attempt to get rid of a stubborn fungal infection. In my experience, overall this is the best treatment to date for this unsightly and painful foot problem. skin. During the procedure, the pathogens that cause toenail fungus are targeted, allowing the new nail to grow in healthy and clear. Unlike some medication-driven treatments for toenail fungus, the laser presents minimal risk of side effects, and it is a great alternative for many patients who can’t or don’t want to take oral meds. A. At this time there is no insurance company that covers the laser procedure. It is considered to be aesthetic and too new a modality. Time will tell if insurance companies will adopt this treatment modality into the patients’ plans. Many patients use their HSAs (Health Savings Accounts) or FSAs (Flexible Spending Accounts) to cover the cost for the laser treatment. A: The laser procedure costs from about $975 on Long Island to upward of $1500. 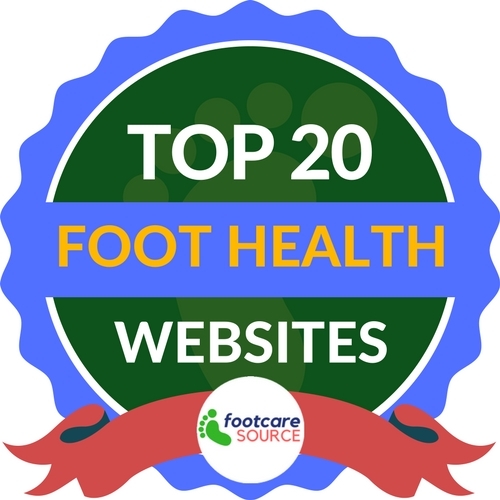 For more information on the newest and safest toenail fungus treatment, please contact our Long Island foot doctors at Advanced Podiatry today at either our Huntington, NY, Manhasset, NY or Maspeth, NY or Great Neck, NY practice! Or fill out our site request form today!